I am also really enjoying my fast days. I get really excited when they come and particularly when I’ve made it to the end. Surprisingly enough, this is not because I will know I will get to eat, more because of the sense of achievement I get from the experience. You will also be surprised to know that you will not be ravenous by the next day. The reality is you will notice how much longer you would rather wait to eat and begin to realise how much you really need to consume. I can already tell I’m starting to eat less. I was feeling particularly inspired last week and went for 4:3, alternate day fasting. I am really beginning to love fast days and I keep telling everybody about it! I have to admit, it didn’t come easy at first. My first week was hard and I went over the 500 limit but I was determined to hit 500 calories next time round. You just have to keep at it and let your body adjust. Once you find your rhythm, it’s like a walk in the park. I am coming up to my third week and to date, I’ve lost 2 inches from waist and hips, 1 inch from my bust and 0.5 an inch from my thighs and bottom however my weight has remained the same. I have a handful of friends who have also seen fantastic results. One has lost 10 kilos (4 months), 8kg (6 months) and 5kg (6 months) losing inches whilst eating chips, cheese, KFC, you name it! 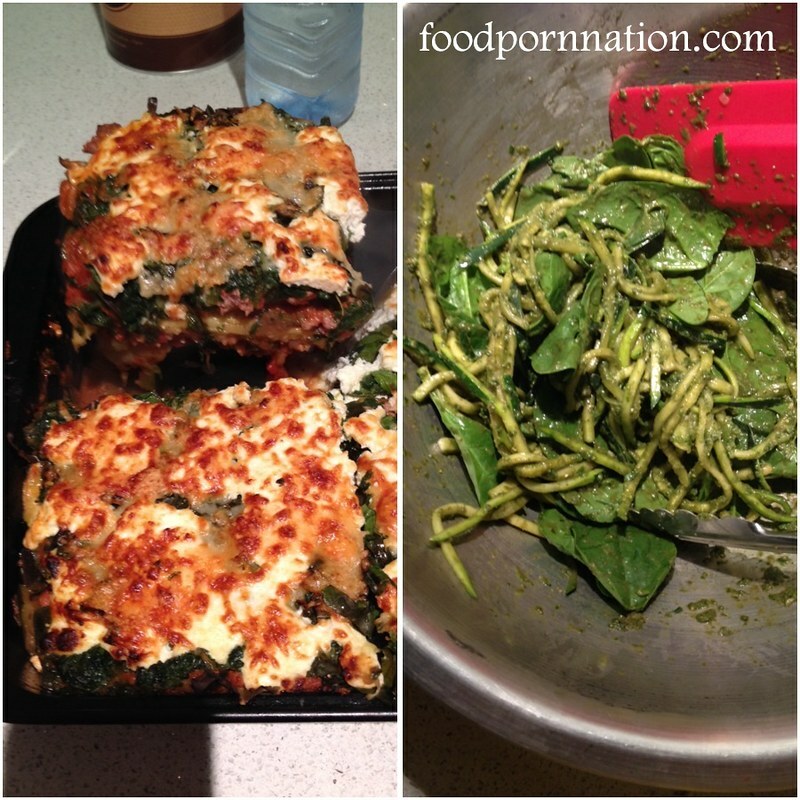 Even fellow food blogger nikcooks.com has seen some great results dropping 12 kg (6 months) – check out her post here! Here are some other foodies who have shown positive results on the 5:2 diet – check out “Foodies on the 5:2“. They predict loosing a pound a week but this will vary on how much you have to loose, what you are eating on feast days and how much you exercise. They also recommend measuring yourself as you may see changes in your measurements but not on the scales and adding the total of inches lost. Therefore, my total of inches lost is 6 inches. Hmmm… that’s one way of looking at it! If you’re interested in seeing more results, I would suggest searching the hashtag #52diet on twitter and instagram. You will be able to connect with fellow fasters and track their results, some are particularly dramatic! Have a look at the thefastdiet.co.uk for more info and take a peek at the forums to see other peoples progress! Tell me, what are your thoughts on the 5:2 diet? Have you tried it and shown success? Or do you have any burning questions or reservations? Leave your comments below, I would love to hear them! You would be very surprised at how easy this is! I find it far easier than eating healthy all the time and constantly calorie counting. It’s only 2 days versus 7. I love it!! And the health benefits are far too great! You’re so right about that – I’m so sick of calorie counting these days, it’s just not worth it any more. Much better to simply be aware that you’re eating the good stuff, eh? This is true. I just like knowing that two days of this and I’m going to delay the onset of cancer, diabetes, cholesterol and all sorts of things. It’s personally not a diet, it will be my life. I’ve seen some fascinating results on the forums. It never ceases to amaze me! haha i know this diet is perfect for us foodie. I’m eating what I like and seeing the inches fall off. It’s amazing!! I’m with you Priscilla. I only started following the fast diet purely because I was fascinated by the challenge of what you could potentially put on a plate for under 500 calories a day. I love to use fresh seasonal produce prepared from scratch. On the plus side it takes care of the dreaded kilo creep as I indulge in my very food centric lifestyle for the rest of the week. Sometimes the wheels fall off the wagon but I always manage to climb back on. Good luck with your journey. Yes it is crazy what you can do with 500 calories. I love being able to enjoy my food and only watch what I eat for two days. It just works!